With 20 years of management consulting experience, Carol provides expert level organizational development and executive coaching services to clients. She is known for her masterful skills of asking powerful questions and helping individuals and teams achieve clarity about issues, opportunities and actions that lead to results. She builds long-term and meaningful relationships with clients. Prior to working with Insight, Carol was the Human Resource Practice Manager for 10 years at a management consulting firm (now Clark Consulting). Carol holds a Bachelors degree in Psychology from Simmons College and an MBA degree from Boston University with a concentration in Organizational Behavior. 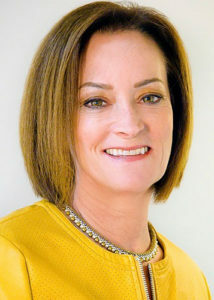 Carol is qualified in the Myers-Briggs Type Inventory (MBTI), and is certified in various 360° instruments, including the Center for Creative Leaderships’ Benchmarks, the Leadership Effectiveness Analysis (LEA), and the HayGroup’s Emotional Competence Inventory (ECI).She also utilizes the Enneagram and the PaperRoom coaching process. She is a certified coach through New Ventures West. Carol is an active member and Committee Chairperson in the Northeast Human Resources Association (NEHRA). She is also a member of the Human Resources Leadership Forum (HRLF) and the International Coaches Federation (ICF). Contact Carol directly at: 781-784-1712.